It was a rainy start, but it soon cleared out as the day progressed. A morning glimpse of the Pacific after the rain. The view as we descended to the Iao Valley - the morning mist hasn't departed yet or will it ever. According to the park brochure, "Kuka'emoku is an erosional remnant. It is at the end of a ridge comprised of a denser dike stone. The softer rock around the dike stone was eroded by streams and waterfalls." As we were driving away from Kuka'emoku, I happen to see this park at the base of the mountain so we decided to check it out. From the park, you can watch the mist hover and disappear over the mountains. It was a dramatic scene how nature rules out here. The park featured Korean, Japanese, Filipino and Chinese gardens. 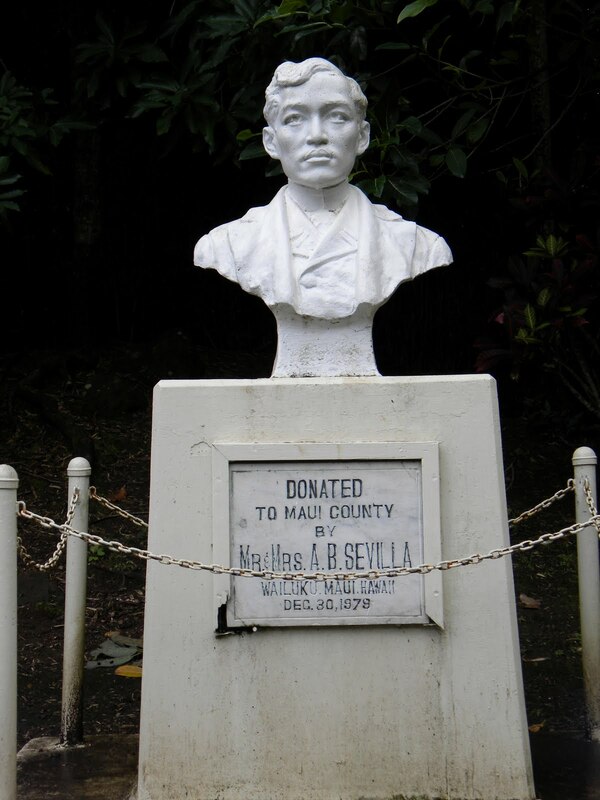 And yes, Jose Rizal, the Philippine National Hero. The Filipino house complete with a Koi pond. 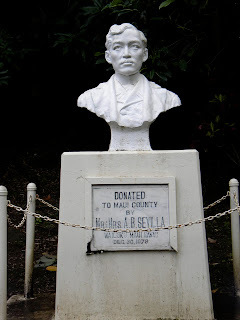 A bust of Dr. Sun Yat-Sen. It looks so beautiful and exotic. Breath-taking scenery. love your photos. they somehow reminded me of Philippines but a little bit different. Having different themes on a park especially a Filipino feature on is just too awesome. thanks for visiting my blog! have a good day! ang ganda talaga ng mga bundok. they always look so grand and majestic. Simply breath-taking. Somehow it reminds me of our place. We do have nice mountain sceneries too. lovely place kayni. i would to be surrounded by nature like that! i wonder about the "Iao Needle'... mukha ba syang needle? Gorgeous captures! I'd love to visit there! Oh, it's a real paradise!